Lauren began here tennis career at the age of eight in Ogden, Utah. She was one of three girls, all of which played college tennis. Her father, Garrett, was her primary coach growing up. McCreless earned two state championships and two high school All-American honors before ending her junior career. In the summer of 2006 McCreless arrived at Florida State to begin her student/athlete career. In her first season as a Seminole she and doubles partner Nicola Slater were invited, for the first time in school history, to the Indoor National Championships. There they accomplished many things, including the defeat of the No. 2 team in the country. At the end of her junior year she received the Cissy Leary Sportsmanship award for outstanding character on and off the court. She closed out her senior year with two historical firsts as a team and individual, participating in the NCAA Championships. Also at the close of McCreless’ career as a Seminole, she had earned three All-ACC honors, Regional Senior of the Year, and became the all time winningest singles and doubles player in Florida State history. Post college McCreless competed in several professional events. Eventually finishing her career as a player she went into coaching. 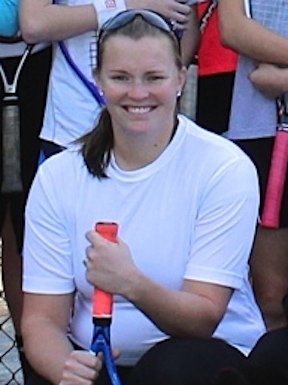 After coaching the 2011 Lincoln High School varsity tennis teams she and her husband moved to Orlando where she began coaching high performance tennis at the Lake Cane Tennis Center. She has recently returned and looks forward to coaching and training the players in EJT.